Information on SoftPro ProForm with some general computer tips and techniques, with a bit of me. 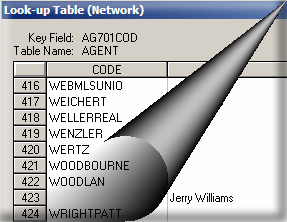 There are a number of methods to update lookup tables in SoftPro ProForm Classic 15 and 20. Using the normal ProForm interface is the most common. We can't use the asterisk (*) filtering where * is used as a match all filter since the update would put that in the Code field. There is another solution which can also be used to pull a lookup record. After backing up my laptop, I decided to try out Windows 10. The installation was a little dark at times, nothing being displayed on screen. 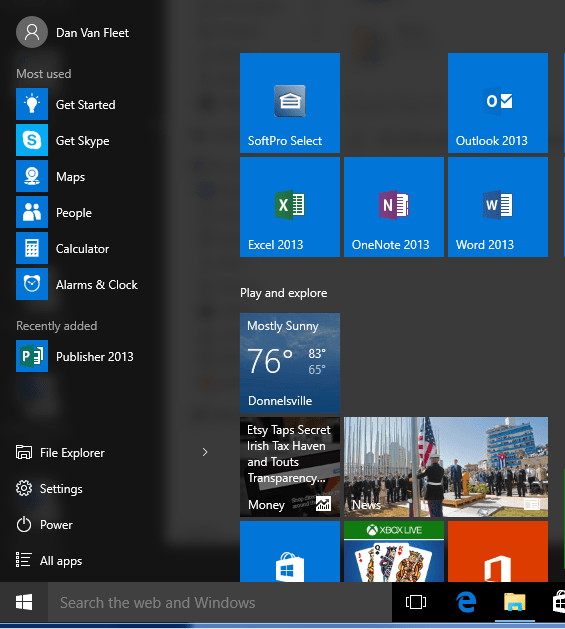 After successfully completing that I come away with a much better feeling than I did when I tried Windows 8. The installation seemed to go well, the first login resulted in a black screen with a mouse cursor. After trying a few things I found, a hard reset brought up a working system. The VPN might be a little broken. When copying the Select Client over the VPN, the transfer rates dropped to zero. To fix it, pausing the copy in Windows 10 and resetting the VPN and resuming the copy got it going. That I found a bit weird, but I liked the pause and resume on a copy. Today a law firm client called and mentioned they could no longer access Word Document, PDF Files and other network data. After chatting a bit they mentioned that a user saw a window called Crypto Locker which asked for money to restore access on the files. Outlook 2010 took the old *.nk2 files and stuffed them into a cache which is a hidden mailbox message. That all sounded good to me, the nk2 files were a pain, I looked forward to a slick management interface in EMC or at least the EMS. None was to be found, but there is a way, albeit slow processing the whole process takes a few minutes on a slow computer. Microsoft for some unknown reasons after 35 years of consistent behavior decided to change the way the Insert key works in Word. Normally pressing the insert key toggles between Insert and Overtype. Most people live in Insert mode, but sometimes Overtype is nice, the engineers at Microsoft decided you no longer needed Overtype mode. Who knows why. SoftPro announced the release of its integration with NextAce for smart automation, title search and reporting within its SoftPro 360 business exchange platform. 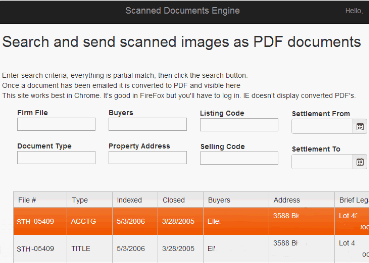 SoftPro users will be able to seamlessly produce automated title reports using NextAce’s smart search capabilities. The CFPB recently posted responses to frequently asked questions in an effort to provide informal written guidance on the TILA-RESPA Integrated Disclosure (TRID) Rule. Three of the FAQs are related to the Closing Disclosure Form (CDF) and one references model forms. The Law Office of Jeffrey Ostlie, P.A. is a real estate firm in Orlando, Florida formed in 2010. With a focus on real estate and business law, SoftPro's reconciliation services proved to be exactly what their office needed to maximize efficiency.